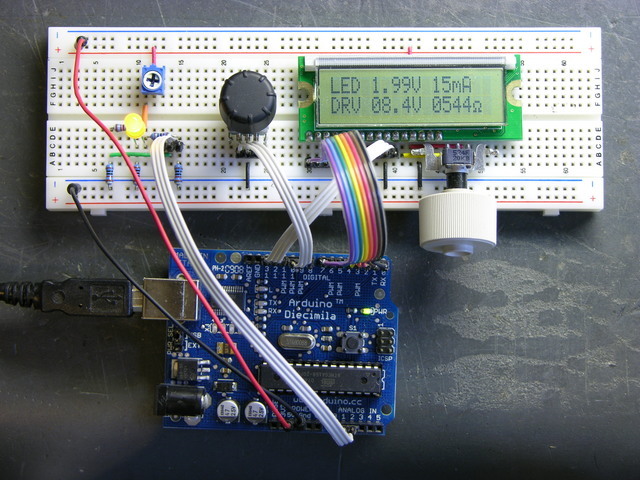 A week-long vacation without the Arduino? The horror . . . the horror . 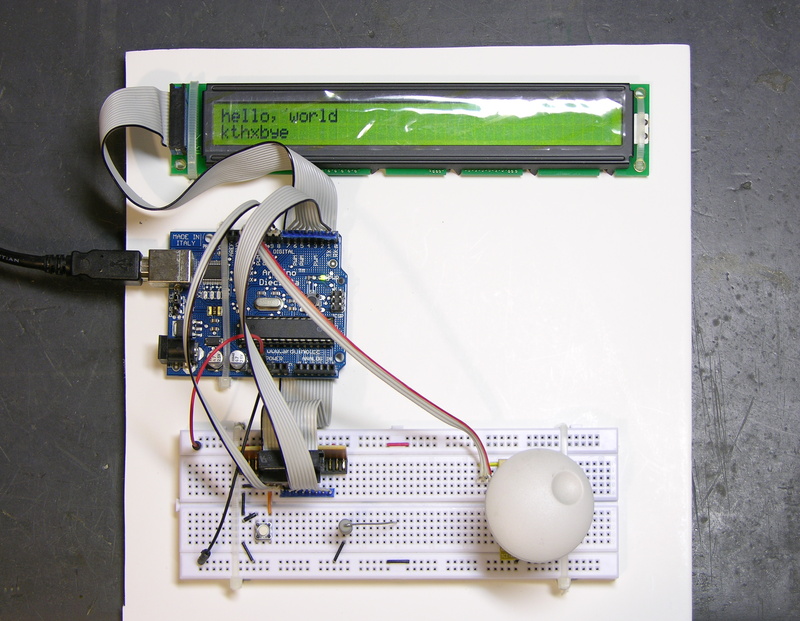 . .
Arduino, LCD, and breadboard strapped down on foam-core sheet, for travel. My dad had a break in the power cord of his hair clipper, right next to the strain relief. That should be ironic, except I already know most strain reliefs are too stiff and just move the site of cable stress rather than relieve it. I guess that makes it ironic but expected. At any rate, the strain relief was molded onto the cable, so the cord wouldn’t just slip out for repair; and the break was so close he didn’t know quite how to splice it back together; and he asked me to fix it for him. At first all I could think of was hideous things like replace the strain relief with a grommet and a huge wad of hot glue. But I let it sit for a day, and realized that the much easier solution would also be both cosmetically and functionally superior. 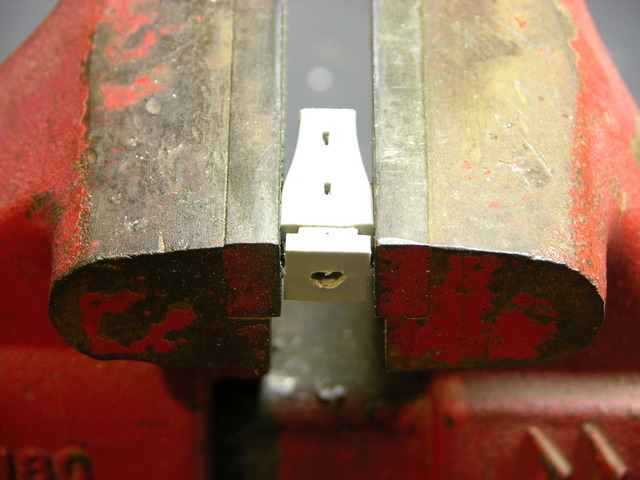 I cut off the power cord flush against the inner and outer ends of the strain relief, then drilled the power cord out of the center of the strain relief with progressively larger bits until the hole was large enough to push the cord through again. Super simple, and it leaves a very finished appearance — you can only tell it was repaired if you look closely. It’s more obvious if you look inside, of course. The extra loop on the long wire really shouldn’t be there. 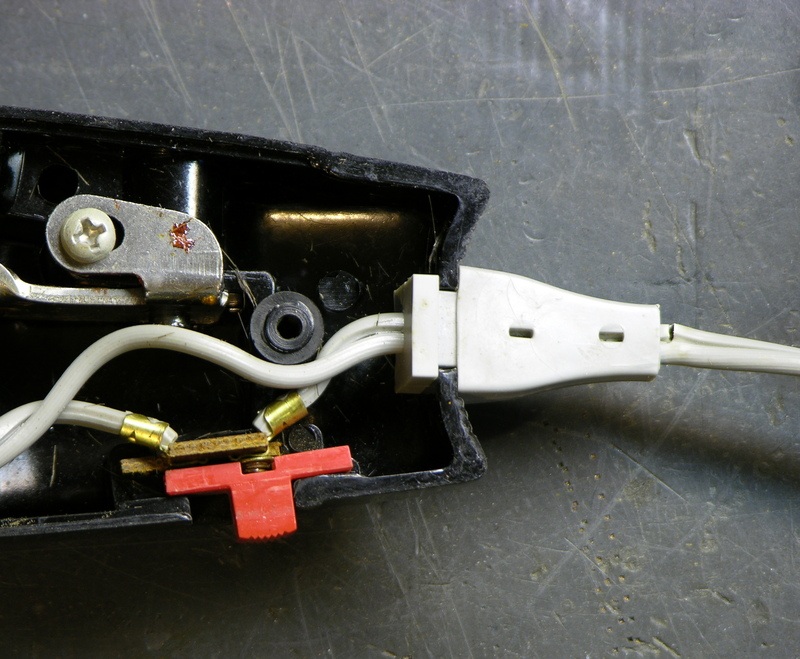 I had both wires cut to the same length and spliced, and then the original short leg popped loose of the switch’s crimp connection and it seemed more practical to cut off the splice and fit the new end straight into the crimp. By then I didn’t feel like reopening and resoldering the long connection, so I just mushed it in and let it be. 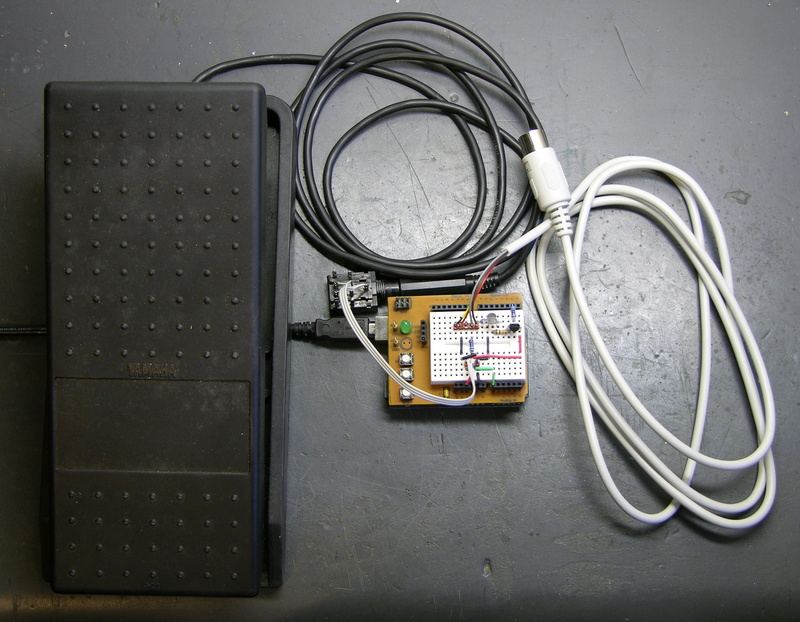 Whoever posted this to the MAKE: Blog jumped the gun a bit — I haven’t interfaced anything to a synthesizer yet. 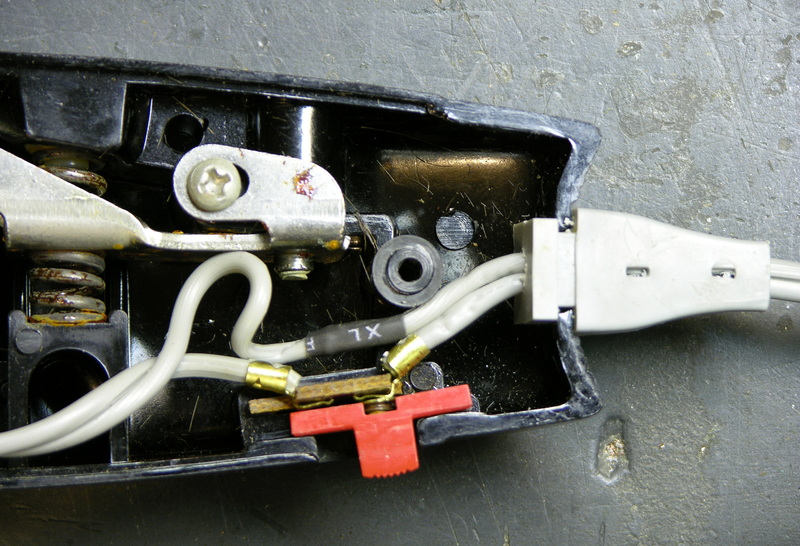 What I found in the Baldwin pedal isn’t suitable for interfacing and is (in my opinion) worthy of preservation, so this post is just a teardown of the Baldwin pedal showing the intriguing mechanism inside. I have since gathered all the parts I’m going to use to build the MIDI volume/expression pedal and expect to do that within a few days; so if you’re interested, please check back! 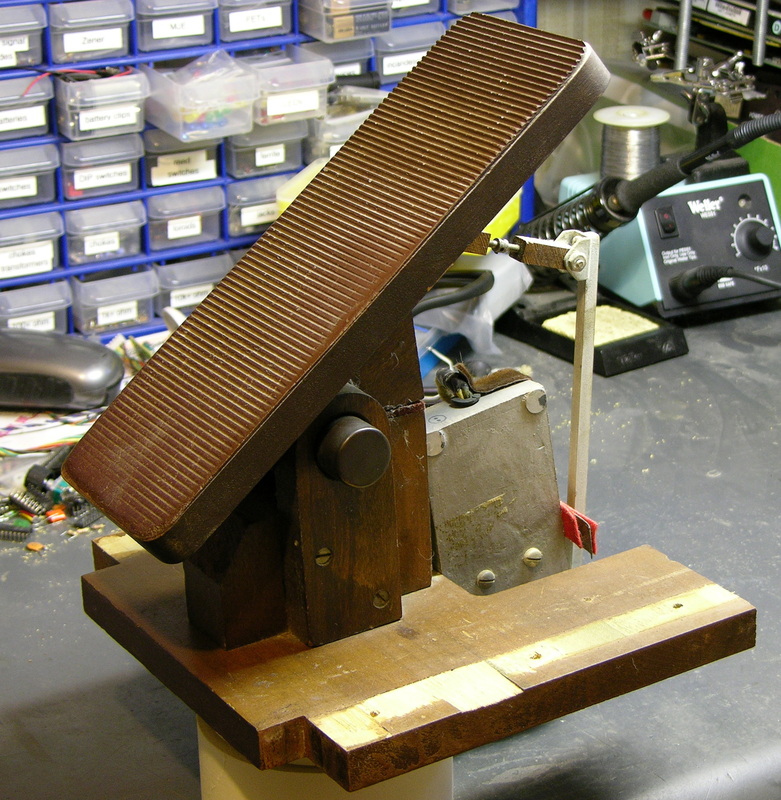 I want to build a volume pedal for my synthesizer(s), and I figured it’d be easier to do if I started with . . a volume pedal. So last night I went to storage and pulled the swell pedal out of Jacob’s most recently discarded electric organ, a Baldwin Model 5. It’s actually quite a bit higher off the floor and more steeply angled than would really suit me; but I had it on hand and figured I might as well start working with it. As it turns out, I’m not going to retrofit this, and I’ll show you why in a little bit. Rocking the pedal forward pushes the square lever away from the box, and rocking it back pushes the lever toward the box and presses a pin at the base of the lever into the box. 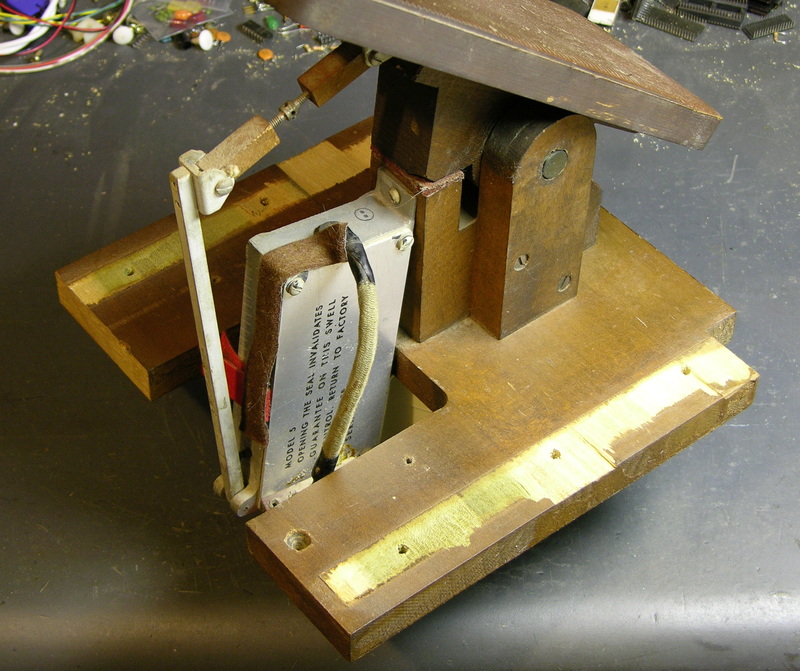 The lever and box assembly looks kind of like a giant microswitch. Or a bird with a long neck. 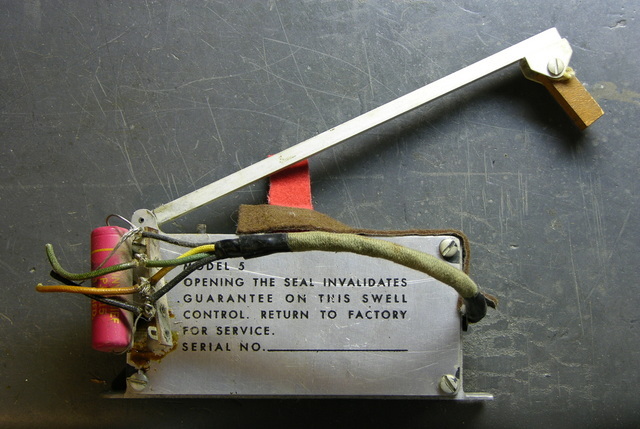 Here’s the part that makes me say, “Wow.” Apparently potentiometers hadn’t been invented yet (I think I’m joking), or weren’t available with a high enough power rating to use in this volume control circuit. 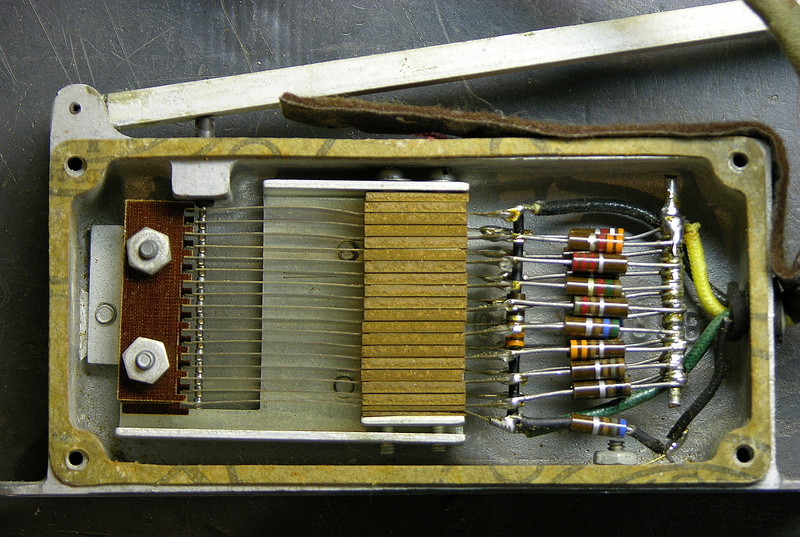 The volume pedal’s lever presses against a ladder of leaf switches (it’s hard to see, but all the contacts at the left end of the leaves are normally open, but only barely) wired to a resistor ladder. Pressing the pedal connects together increasing numbers of leaves and shorts across increasing numbers of resistors. Wow, wow, wow. I just don’t feel right about dismantling this to stick in a potentiometer (nor are the mechanics of it really built to make that easy). So now I’m looking for another swell pedal (with a pot) to repurpose, ideally a twin swell pedal like what’s on Jacob’s current organ. I don’t find much on eBay, and I’m not sure where else to look. You are currently browsing the Keith's Electronics Blog blog archives for July, 2008.